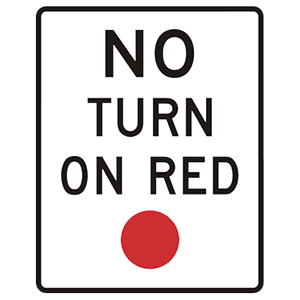 Turning on a red signal is prohibited. Regulatory signs provide notice to road users of traffic laws that must be obeyed. 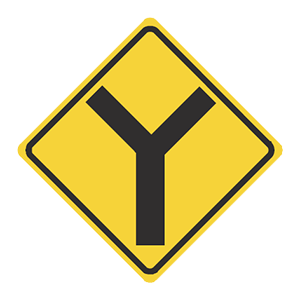 When posted at an intersection, this sign tells drivers that turning right or left on a solid red signal is prohibited.